When I worked at a museum and guided school children through the galleries, I’d often ask them; “imagine yourself inside the painting. What do you smell, hear, and feel?” Kids loved this activity, but of course they could never really feel what it’s like to be inside a Van Gogh painting. Now at LACMA families have the opportunity to do just that. James Turrell’s contemporary works allow families to actually step inside a piece of art and experience together what it’s like. 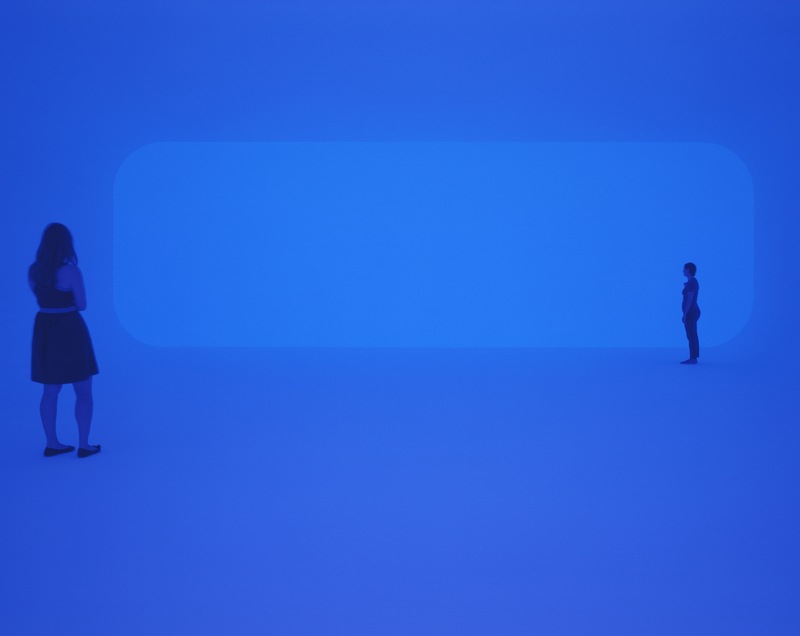 Turrell’s light installations – darkened rooms or spaces filled with nothing more than light — are designed to heighten our awareness of how we perceive the world around us (photo above). 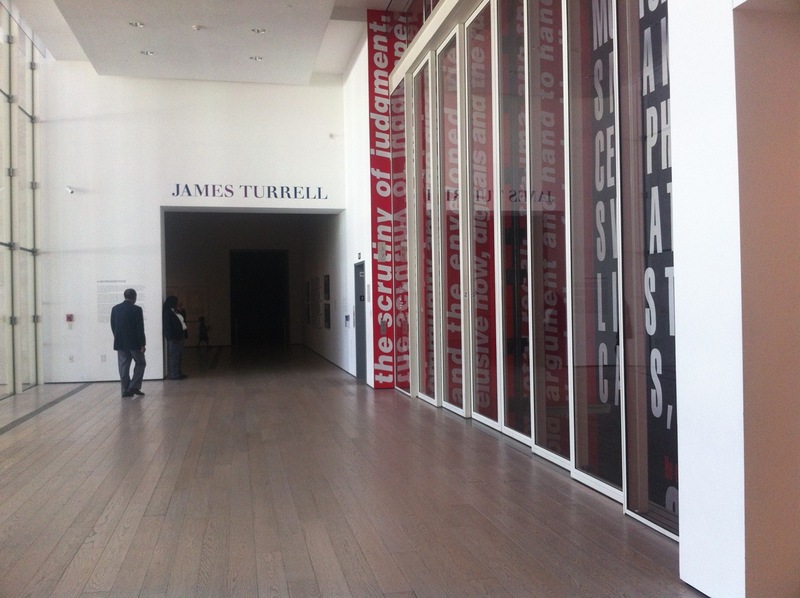 Turrell describes this experience as “seeing yourself see.” Sounds complicated? Well, it is, and it isn’t. “When we walk into a gallery, we often feel like we need to be armed with a certain art education, to know the history of the piece or artist. One of the incredible things about this show is that you bring the work with you; your eyes, your skin, your heartbeat, your ears, and your feet.” You could say the less we bring to the work, in terms of our preconceptions, the better. That’s why, Kim says, “children are often more open to experiencing Turrell’s work than adults. It’s easy for my five year-old to believe that the sky is green because she can believe that it might not be blue all the time.” Turrell’s work, most notably his Skyspaces, makes us aware that we give the sky its blueness. What to See: It’s a large show that covers nearly fifty years of Turrell’s artistic career so it’s helpful to have a plan. The exhibition is divided into two parts; the first part is in the BCAM building, and the second part is in the adjacent Resnick Pavilion. Our family’s plan was to see a few works in each building – pieces I thought my kids would enjoy the most. That way we could relax and take our time with each installation, rather than rushing through and trying to see everything. We visited the Turrell exhibition with our sons (ages 9 & 11 yrs) early one Sunday morning. We started at the beginning in the BCAM building. Our first stop was Afrum (White), one of Turrell’s earliest light installations that he created in his Venice Beach studio in 1966 (photo above). 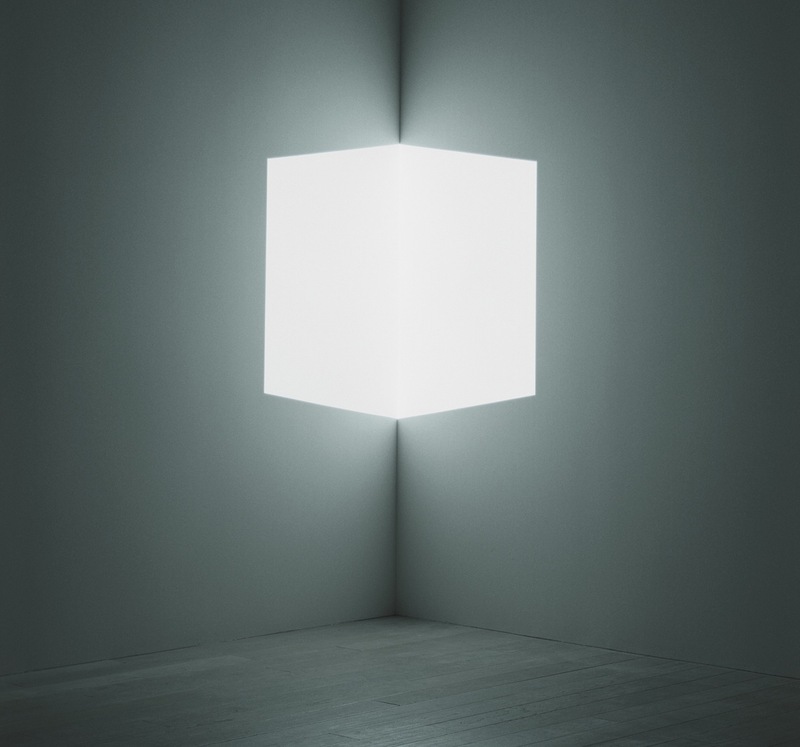 My children stared intently at the white illuminated cube; intrigued by the way it changed when they blinked their eyes and when they changed positions in the room. Moving to the next projection piece Juke (Green); we encountered a neon green light in the shape of a triangle. My 11 year-old turned to me and said, “Wow, I feel like I could enter another dimension.” Remembering how much he didn’t want to go to the museum that day, I savored the moment. Next we explored Turrell’s holograms that are also great for kids. Note that the last few light installations in the BCAM building are in very dark rooms that may make young children uncomfortable. 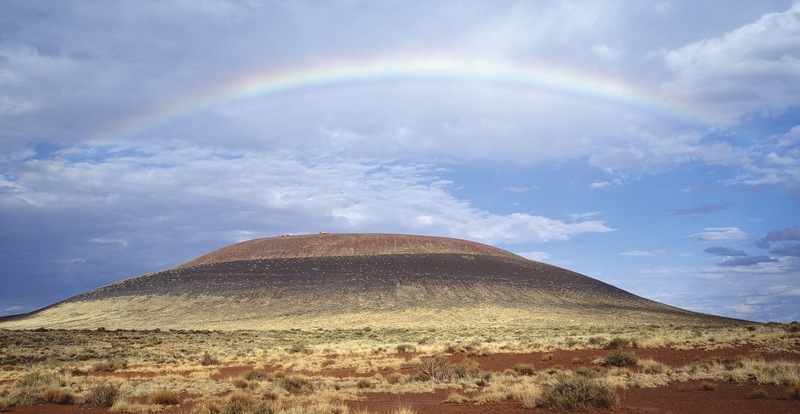 Then we moved on to the second part of the show where we saw the Roden Crater Project display – an extinct volcano site that Turrell is transforming into an astronomical observatory and monumental artwork (photo above). Our last stop was the artist’s most recent work, Breathing Light — my favorite in the exhibition (photo below). The museum allows only eight people inside this installation at a time and you might have to wait in line during peak hours. It was still early, so we waited only a few minutes before the guard motioned us in. We removed our shoes, put on white paper booties, and walked up the plush carpeted steps into the installation (what Turrell calls a Ganzfield). We entered a large, futuristic-looking, white room flooded with vibrant hues of colored light. We stood quietly together and watched as the colors subtly changed. No cell phones, no iPads, no video games. Just our family together, totally immersed in a work of art like no other — and that experience alone is so worth a trip to LACMA. Get Tickets – Special timed ticket reservations are required. Adult (non-member) tickets are $25; children (17 yrs. and under) visiting with an adult are free. I strongly recommend making your online ticket reservations at least 24 hours in advance. It’s also nice to have a one child per adult ratio for your family visit. That way you have lots of flexibility if one child gets antsy and needs an outdoor break or snack. 1. James Turrell, Raemar Pink White, 1969. Collection of Art & Research, Las Vegas, ©James Turell . Photo by Robert Wedemeyer, courtesy Kayne Griffin Corcoran, Los Angeles. 2. 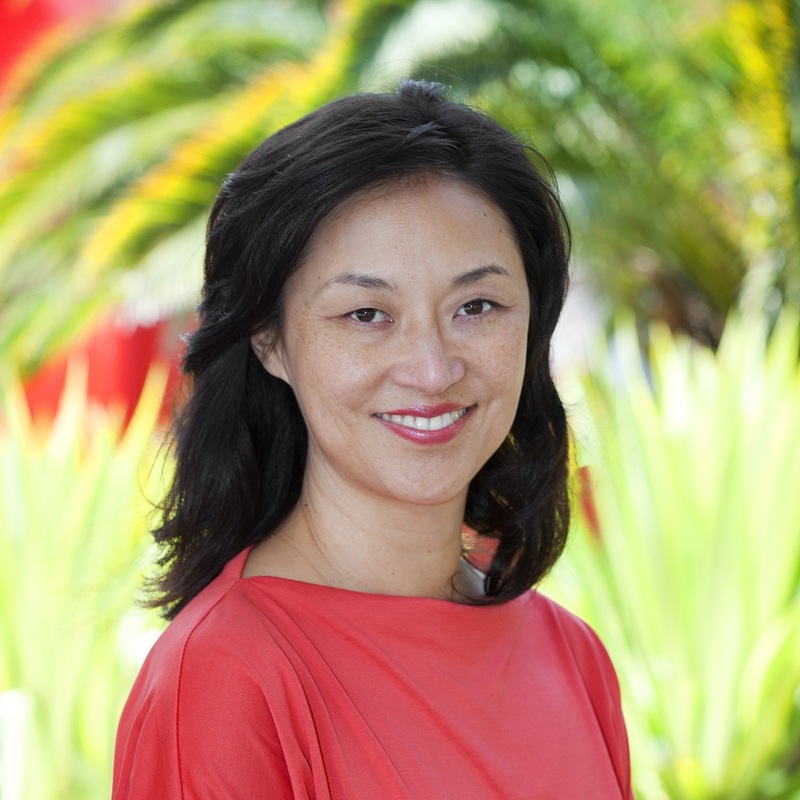 Christine Y. Kim. Photo courtesy of Los Angeles County Museum of Art. 3. James Turrell exhibition entrance BCAM building. Photo © 2013 Museum Stories. 4. James Turrell, Breathing Light, 2013. Los Angeles County Museum of Art, ©James Turrell. Photo ©Florian Holzherr. 5. James Turrell, Afrum (White), 1966. Los Angeles County Museum of Art, ©James Turrell. Photo ©2013 Museum Associates/LACMA. 6. James Turrell. Roden Crater Project, view toward northeast. Photo ©Florian Holzherr.